TARAZ, Kazakhstan -- The Taraz Business Association is seeking to educate business owners and young entrepreneurs through discussion forums to help them run successful businesses. On February 12, the association held the LEVEL UP Taraz 2018 business forum. 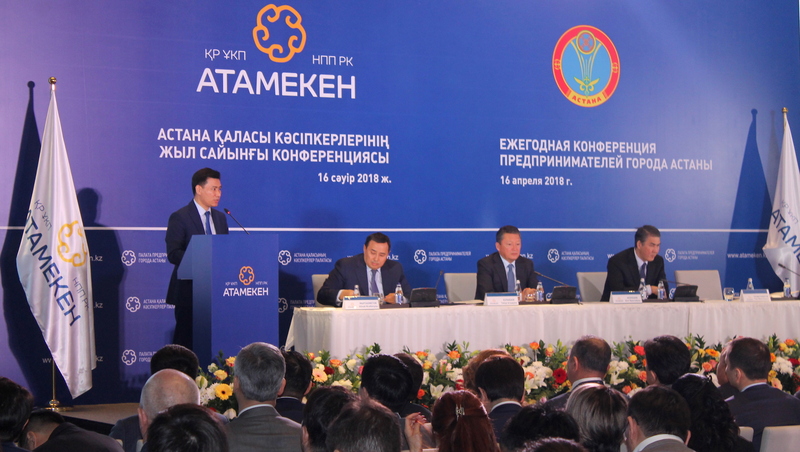 About 900 participants came to Taraz from across Kyrgyzstan and Kazakhstan to hear accomplished Kazakhstani business owners describe how to succeed. The forum was aimed at encouraging aspiring businessmen and women to increase their knowledge, develop their own companies and contribute to their countries' economic stability. Attendees heard the personal stories of Kazakhstani entrepreneurs, public relations specialists and bloggers. Entrepreneur Kuanysh Shonbay, from Almaty, described how he made his first fortune by selling books. He now owns several restaurants throughout Kazakhstan. Speakers also stressed the role of women in business, while others discussed the need to combat corruption and lower barriers to investment and entrepreneurship. "There is a lot of potential in Kazakhstan now, and a lot of areas where you can build a successful business," said Alisher Yelikbayev, a public relations specialist and blogger from Amaty who spoke at the forum. "We need to beat corruption, and then there will not be any barriers for entrepreneurship." One of the main topics covered at the forum was the use of modern technology, such as the internet and social media, to build businesses. Another speaker, Sayasat Nurbek, managing director of the Astana International Financial Centre and the director of the Public Policy Institute, highlighted the role of modern technology and artificial intelligence. It is impossible to build a successful business without using modern technological advancements, he said. "It is essential that we learn how to conduct business in a civilised fashion -- to adopt the best practices and to implement the latest technologies," Oljas Kuandykov, executive chairman of the Taraz Business Association, told Caravanserai. "Many people came to the forum, which means there is interest in doing business and potential for development," he said. "It was very interesting to listen to speakers who built their businesses using the popularity of media and the power of social networks," Aynur Zaurbekova, chairwoman of the Zhambyl Province Chamber of Entrepreneurs' Youth Entrepreneurship Council and director of the "Best Investment" Academic Centre in Zhambyl, told Caravanserai. "We are adopting the best that Western civilisation has to offer, including democracy and the techniques to do business," said LEVEL UP forum participant Viktor Repenko, owner of an advertising agency in Taraz. "At the same time, Kazakhstanis have their own good national traditions," he told Caravanserai. "This is much better than taking the path of ignorance, which is something that some radical religious groups are trying to impose on us." Repenko said he learned several new ideas at the forum to help develop his own small business. "The whole world is open," he said. "The internet and the English language open up the road to many opportunities." In addition to holding forums, the Taraz Business Association plans to organise courses for aspiring entrepreneurs. For example, it plans to organise a two-month-long business course soon for those seeking to open their own businesses, Diana Abdigappar, a spokesperson for the association, told Caravanserai. The course will be divided into eight two-hour-long classes, she said. "Students will gain knowledge in the fields of marketing, management and other areas that have to do with building and developing one's own business," she said, adding that the course costs 80,000 KZT ($250). 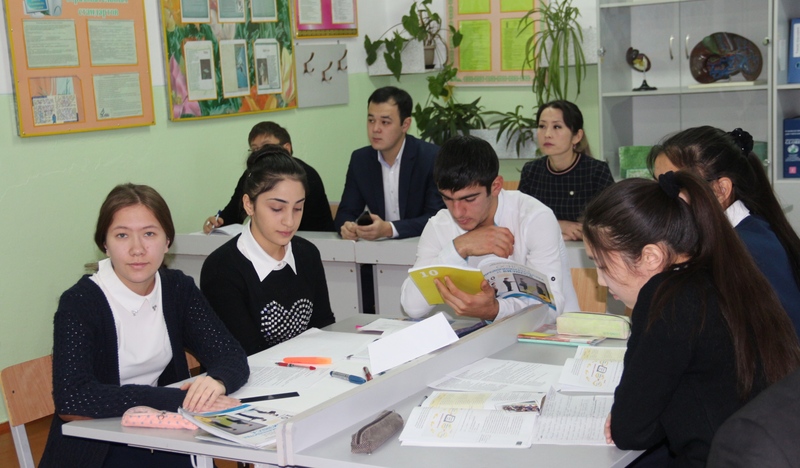 Sixteen schools throughout Kazakhstan in January have begun teaching a new subject for 10th-11th grade students. The course will eventually be taught nationwide. Residents of rural areas in Kazakhstan are learning how to start their own businesses.